Knowing the Differences Between Hoists and Winches Makes All the Difference! “Winching” means pulling and “hoisting” means lifting… but it’s not quite that simple. If you intend to use your winch for raising and lowering a load rather than, or in addition to, pulling a load along the ground or up or down an incline, there are a few things you should know before making your selection. First, there are numerous standards set for machinery used in lifting. Hoists must have at a minimum, a 5:1 safety factor, switches to limit travel, one or more independent braking systems, and large drum diameters. Overload protection is often provided. Personnel rated hoists are used to move people up and down and have even higher engineering requirements and third-party certifications. Second, there are hardly any standards for winches. 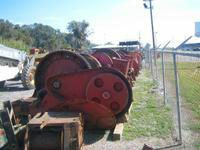 Winch manufacturers can make any claims they wish and set the load ratings wherever they want. 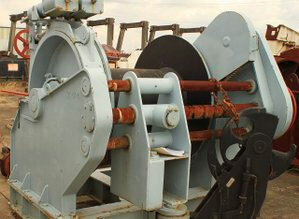 A winch is geared for pulling a load on a relatively level surface. A winch also uses a dynamic brake that must slide. How Does This Apply to My Equipment Needs? A hoist is geared to lift (dead weight) and has a locking brake that can support a “hanging” load. If a hoist can lift (dead weight) 250 lbs., then it may be capable of pulling 1,000 lbs rolling weight across a hard-packed surface. If a winch can pull 1,000 lbs. across a hard-packed surface, it may only have the capacity to support 100 lbs. (dead weight) because the winch employs a different braking system than that of a hoist. MyMarineTracker is always available to help you become more informed about marine equipment and its capabilities. If you have specific needs or questions, contact us today!